Recently, I wrote about the new document package unveiled by ultra-luxury line Silversea to commemorate its 20th anniversary. But there’s another reason I have an interest in the line’s new documentation package, and it has everything to do with another exciting Live Voyage Report. This May, I’ll be travelling to Australia for the very first time to embark Silversea’s newest expedition ship, the 120-guest Silver Discoverer. Voyage 9407 is quite an interesting journey; at 12 days in length, it travels from Broome, Australia all the way to Bali, Indonesia. 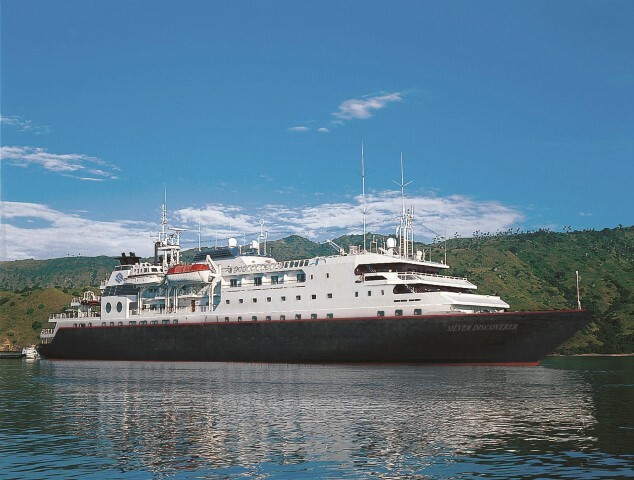 Silversea’s Silver Discoverer will enter service this April. Photo courtesy of Silversea. A normal Silversea ship sailing this itinerary would make it noteworthy enough, but the fact remains that Silver Discoverer will become the third ship to sail under the Silversea Expeditions brand the line has been steadily developing since the launch of Silver Explorer in 2007. I had a firsthand look at what Silversea Expeditions offers guests in 2012 during a sailing around the British Isles aboard Silver Explorer, and I loved what I experienced: a proper expedition cruise, with all the adventurous days of exploration that entails, wrapped in the luxurious embrace that Silversea offers aboard their more traditional cruise ships. Photograph King George’s towering twin falls plunging over 551 feet (180 m). Experience the sheer vastness and power of Mitchell Falls from a helicopter. Go on a “mock” whale hunt with the whalers of Lamalera. 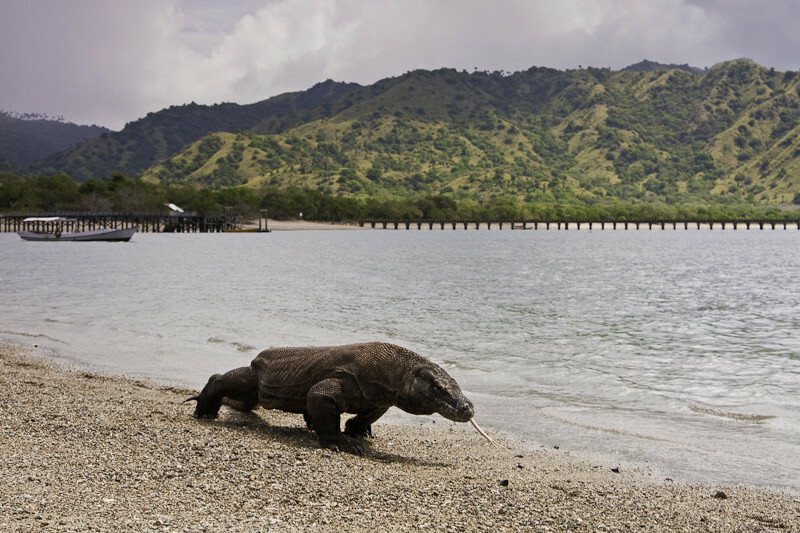 See the “dragons” of Komodo Island. Enjoy numerous nature walks and Zodiac tours, which reveal stunning scenery, pristine beaches, and awe-­?inspiring landscapes. 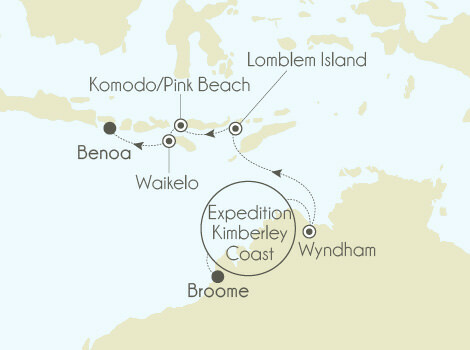 Silver Discoverer will explore some of the world’s most fascinating places, like The Kimberley in western Australia. Photo courtesy of Silversea. Here’s where things get really interesting: over the course of six straight days, Silver Discoverer will sail no fixed itinerary, instead opting to go where conditions are best suited for us. 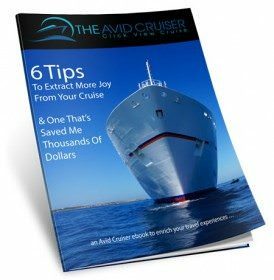 The exact itinerary will be determined by the conditions, the ship’s Captain, and Expedition Team Leaders Robin West and Jarda Versloot. I had the pleasure of sailing with both Robin and Jarda two years ago aboard Silver Explorer, and I’m looking forward to sailing with them again. Weather dependent, we might see Nares Point and Crocodile Creek which, unlike its name suggests, is actually devoid of crocodiles. Talbot Bay’s Horizontal Falls was created millions of years ago by 490-foot tidal fluctuations. We’ll sail aboard our Zodiacs on a ride through the falls before heading deeper into the sandstone gorge of Cyclone Creek. One of the key highlights of this adventurous cruising on the Kimberley Coast is Montgomery Reef, which spans 400 square miles in size. At low tide, up to 13 feet of reef is exposed along with river access that allows guests to visit this normally semi-submerged world. Zodiacs are flanked by waterfalls up to 10 feet in height, and sea life here includes turtles, manta rays and manatees. We’ll also Zodiac ashore to hike up to the top of Raft Point, journeying through the Kimberley Flora that includes the iconic Baobab Tree, perhaps better known as the “Upside Down Tree” by the local Aboriginals. At the top, guests will hear the dreamlike stories associated with the Wadjina Spirit. Hunter River, on the other hand, is an immense mangrove system dating back two billion years. It’s also home to Crocodylus Porosous, the most aggressive crocodile known to man. If crocodiles aren’t your thing, you can arrange with the Expedition Team for an optional helicopter flightseeing tour to the famous Mitchell Falls. Then, there’s King George Falls. 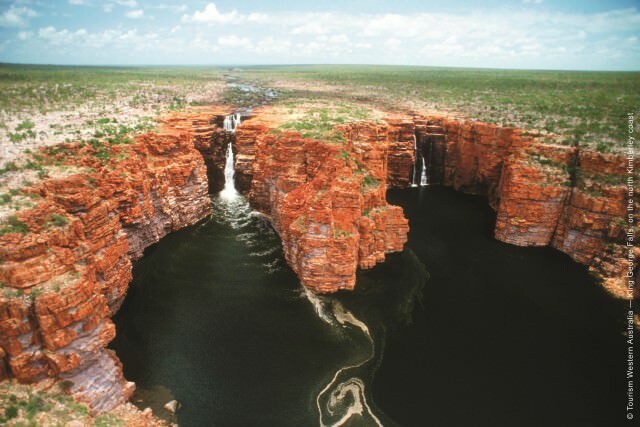 One of The Kimberley’s most stunning natural wonders, these twin falls cascade 260 feet in height. Zodiacs whisk guests up the King George River, allowing us to view not only the falls but also the abundance of wildlife including – yep – more crocodiles, and an abundance of bird life. That marks the end of our experience in The Kimberley, but certainly not the end of our voyage. 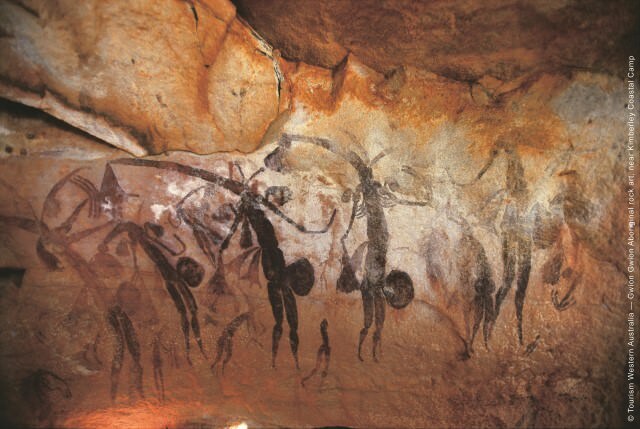 In Wyndham, Australia, guests are invited to do something truly unique: participate in an inclusive overland flight of the Bungle Bungle mountain range in the UNESCO World Heritage Site of Purnulu National Park. Then, it’s off to Indonesia, where we’ll cruise the Timor Sea, visit Lamalera Village, which still relies on whaling as its primary source of income; snorkel in the crystal-clear waters of Pink Beach and explore Komodo, before completing the journey by viewing a funeral rite ceremony and a fierce martial arts performance conducted on horseback in Waikelo, Indonesia. My Silver Discoverer journey concludes on May 24 in Benoa, Bali, Indonesia with a trek home through Hong Kong. The entire journey – just including air travel alone – will span nearly 20,200 miles and five separate countries. Sounds like my kind of adventure! 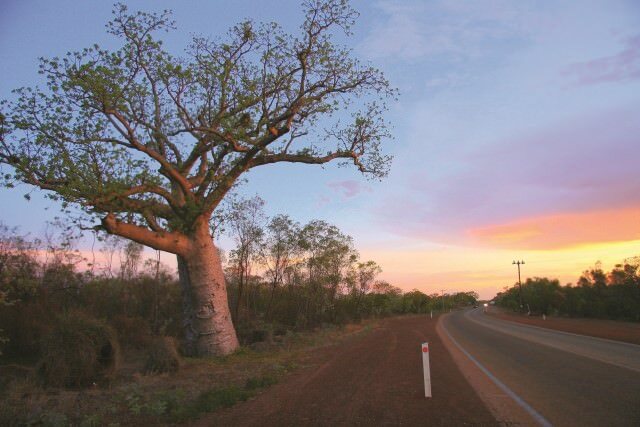 If you think that sounds pretty cool too, I have good news: there’s still some space left aboard Silver Discoverer’s inaugural voyage 9403 on April 2nd from Broome to Darwin; and Voyage 9405 from Broome to Darwin departing on April 22nd. 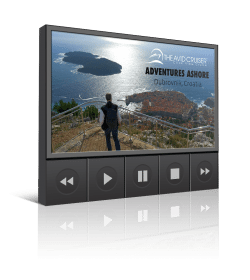 But Silversea now has Silver Discoverer’s entire 2014 and 2015 seasons available to browse and book online. Have a peek, but be warned: these voyages look wonderfully addictive.